This page will give examples of why people measure the weather. There are some more important reasons for measuring the weather than wanting to know whether to pick up an umbrella or not when going out. Some reasons however do relate to leisure activities. If you use weather information for a specific purpose, and we have not mentioned it, do let us know. 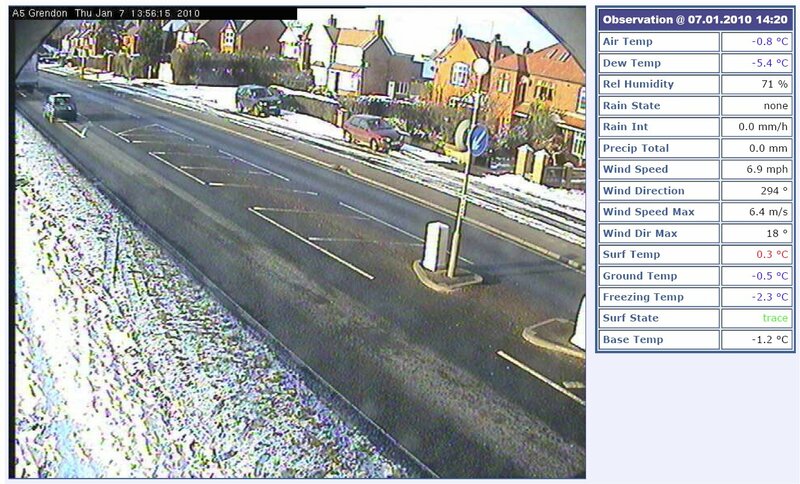 As you travel on the roads in the UK, you may have noticed some weather stations like the one on the right alongside the road. These weather stations are doing a very special job. They help the people looking after the roads to keep the road surface good to drive safely on. 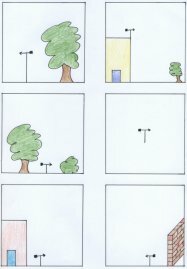 Click on the picture on the right to see what the different parts are. The data they collect helps decide when to send gritters out in very cold weather. Click on the picture on the right to see just part of the data that is monitored. It also shows the view of the road that can be seen. This is only used to monitor the state of the road. This was particularly important in January 2010 when it was snowy and very cold. Sensors in the road monitor the temperature at different depths. It also measures how much salt is on the road, and at what temperature the water on the road would freeze. Thanks to the Highways Agency and Vaisala for this image. Why might we want to know what the road surface temperature is in summer? 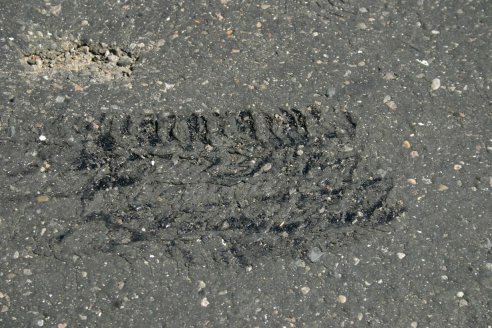 Have you ever see the road surface melt? The photograph on the right was taken in very hot weather. 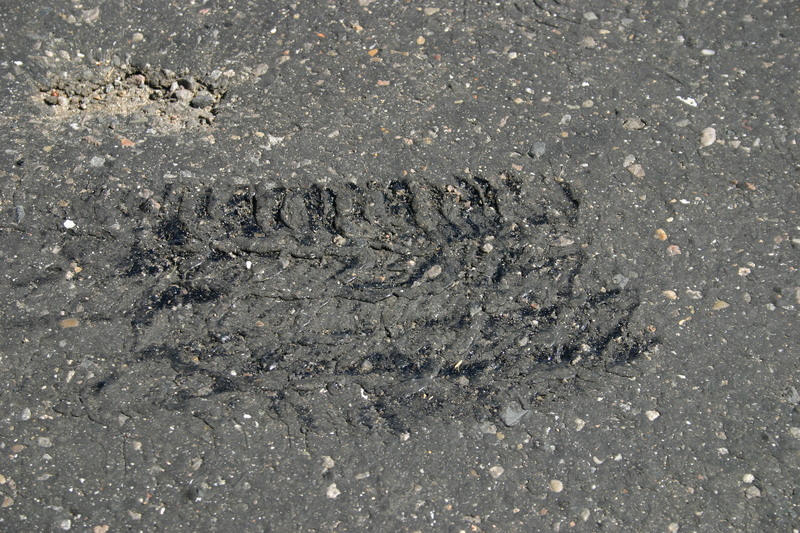 A vehicle had left a mark in the road surface, and even footprints were visible in places. 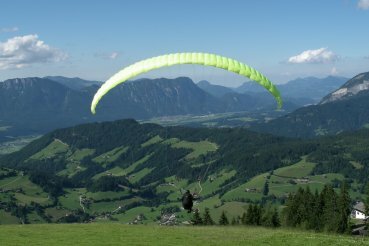 Whatever leisure activity you are taking part in, if it involves some sort of flight thought the air you will need to have precise details of the wind conditions. Both direction and strength will be important. Instead of relying on an average wind speed you will also need to know the strength of the gusts as these could be very dangerous. 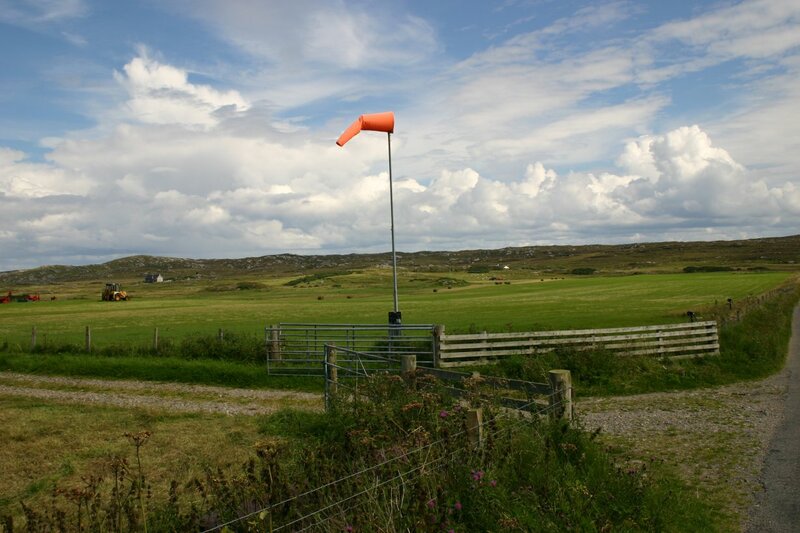 A traditional way to see how strong the wind is, and what direction it is traveling in is to look at a wind sock like the one on the right. Although this is a reliable instrument, it needs no electricity or batteries, it still requires quite a lot of skill to work out what it is telling us. It is like using the Beaufort Scale. 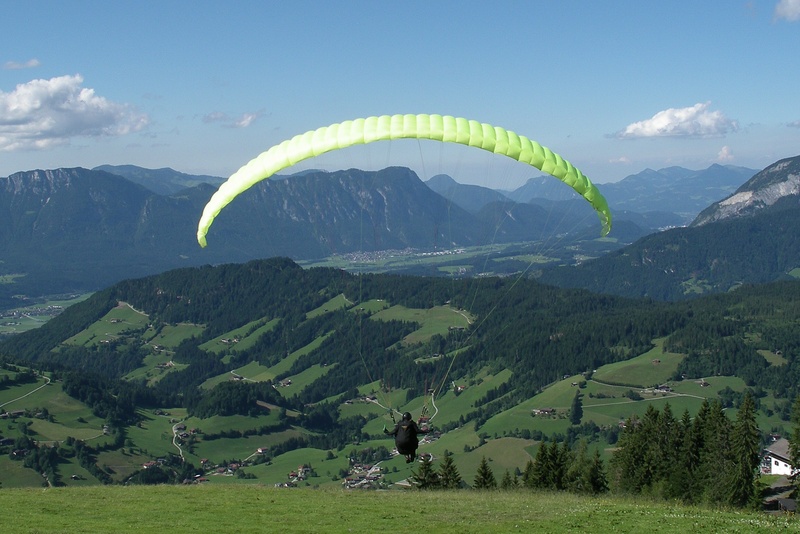 When people are going to fly through the air, with a parachute, in an aeroplane, using a microlight or by any other means, they often use a handheld digital anemometer. These give a variety of readings. 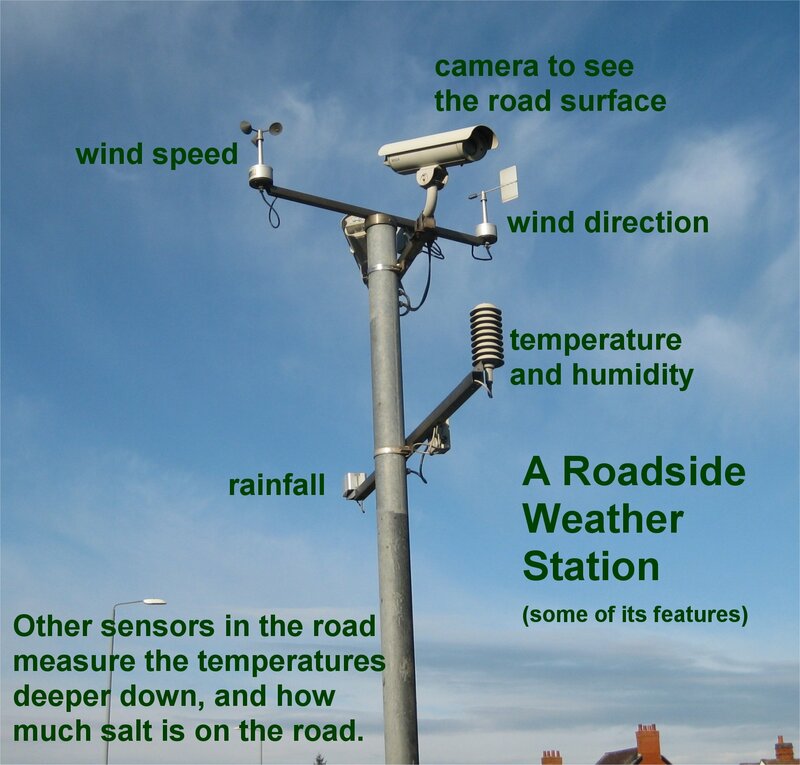 They can also have access to readings taken by digital weather stations. 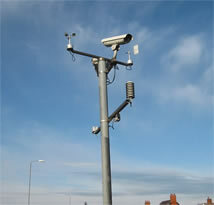 These can have their anemometers positioned in sensible places, high up and clear of any obstructions. This gives more appropriate readings for this purpose. The activity sheet on the right will help with considering why the location of a weather vane is important. Out at sea in particular the weather becomes very important. 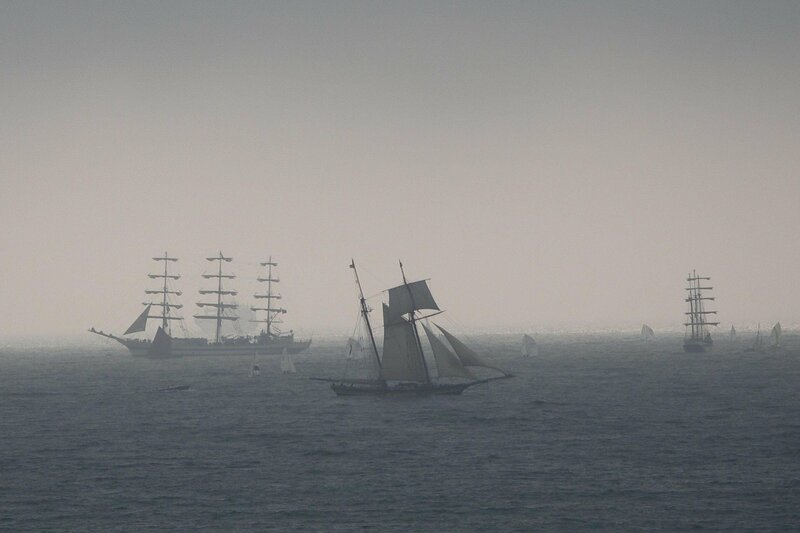 Wind direction and strength plus visibility will affect the safety of vessels at sea. The Beaufort Scale was first developed for use at sea. There were descriptions of what the waves would be like at different wind strengths. In the UK there is a special weather forecast which helps those at sea to know what sort of weather is approaching. This is called the Shipping Forecast. It can be listened to on the radio, so that people out at sea can find out what the weather is going to be like where they are. The seas around the UK are split up into named areas. You can listen to an example of the Radio Shipping Forecast. Click on 'Available now'. The forecast is now also used directly from the internet. 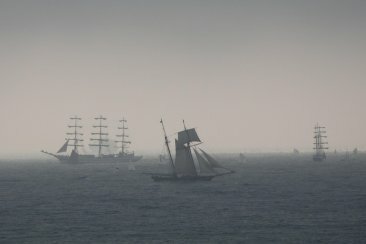 The UK Shipping Forecast gives details of wind, sea state, weather and visibility for the sea areas around the UK. These all have names, point to the areas on the map to see what they are called. One of the areas is named after a famous person who had an impact on monitoring the weather. If an area is red it has a weather warning for it. Storms of all sort can cause damage. In many parts of the world it is useful to know when a bad storm is coming so that people can get to safety. Lightning and thunder can accompany a storm. It takes a lot of patience to photograph or video this. The video on the right shows the lightning followed by the thunder. The light and the sound actually happen at the same time, but light travels faster than sound. Because of this you see the lightning before you hear the thunder. If you count how many seconds are between the lightning and thunder, then repeat for the next flash, you will be able to tell it is getting closer or moving away. Lightning is the electricity traveling through the air. It is quite a complicated business. Thunder is the sound made by the vibrations caused by the lightning. When it rumbles it is the sound bouncing off the ground and the clouds. In places where severe storms are more common, such as parts of the USA, people make plans to keep safe. This may involve getting indoors, going into a special strong room, or going into a cellar. Look at this website where reports of storms are shown on a map for people to look at. On the Storm Prediction centre's Home Page you can type in a date and see if there were storms on that date. You have to type in YYMMDD - that means the two last numbers of the year, the two numbers of the month, then the two numbers of the date. It there is only one number, put a '0' in front. So 19th June 2009 was entered as 090619. You could look at the storms on the 19th June 2009. Look at the key to see what each colour and symbol means. You can use the sheet on the right to fill in your findings. In places where really bad storms are common they try to be prepared. Some of this advice is published on the internet. There is sensible information on the Forces of Nature website and on the WikiHow website..
Storms in other locations are given different names. Find out about hurricanes, typhoons and other severe storms. You may be surprised at what you find out. A search for Uk tornado on Google Images will show that there are more than you would think in the UK. All sorts of road conditions can be monitored remotely. In the Tamworth area and many other locations the systems are supplied by Vaisala. You can see how similar technology is also used for railways on the Vaisala website too. A sea areas map can be found on Wikipedia. What is it like to live in tornado country? Find out what people do to prepare. Make a poster to get over the most important bits of advice. Look up advice in books and on the internet including on the Forces of Nature and the WikiHow websites. Look at the storm data on your last birthday. If there are no storms on that date you may want to use 19th June 2009 which is linked on the left. Use the grid below to fill in some data about the storms. This will help you to understand what storms in the USA are like.